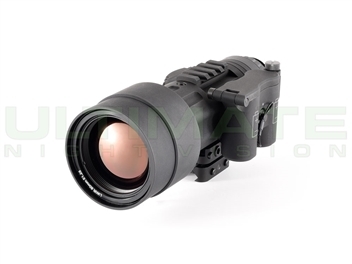 The IR Hunter line of thermal weapon sights are designed and built by an American company comprised of industry experts, shooting enthusiasts, and technicians obsessed with high quality thermal imagery.The IR Hunter MK III by IR defense is a direct response to customer feedback and requests to enhance the incredibly popular IR Hunter MK II. 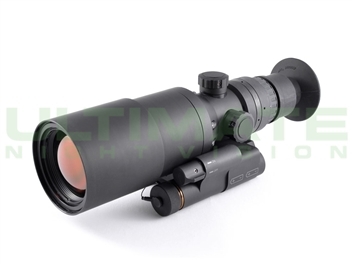 The IR Hunter MK III features a new stadiametric RangeFinder, more reticle options, multiple savable reticle locations with x/y ReadOuts, come standard with the battery extender, a dual-lever LaRue mount and flip-up lens cap. The IR Hunter can be set to 30hz or 60hz, has a built in auto-dimmer, image capture, edge detect mode and more. The BAE 12 micron imagery is truly amazing and produces some of the most crisp thermal images every seen on the commercial market. The MK II also has dynamic reticles so they keep proper ballistic calculations on every zoom level. If you are interested in recording thermal video for your IR Hunter we have ruggedized custom made video cables designed just for the MK II. We offer IR Hunter rentals to try before you buy and have a variety of IR Hunter MK II videos for pre-purchase evaluation. The MK III uses a 12 MIcron BAE Micro core and a menu level system in conjunction with turrets to make operation intuitive and fast. The IR Hunter can be set to 30hz or 60hz, has a built in auto-dimmer, image capture, edge detect mode and more. The BAE 12 micron imagery is truly amazing and produces some of the most crisp thermal images ever seen on the commercial market. The MK III also has dynamic reticles so they keep proper ballistic calculations on every zoom level. If you are interested in recording thermal video for your IR Hunter we have ruggedized custom made video cables designed just for the MK III. We offer IR Hunter rentals to try before you buy and have a variety of IR Hunter MK III videos for pre-purchase evaluation. Each X/Y location will give you a simple X and Y value for as many locations as you need. This means that you can set up a MK III on as many weapon systems as you want and always maintain a return to zero. Level 4 controls reticle selection and adjusts the rangefinder. The Zenmuse XT is a FLIR thermal camera integrated with a DJI gimbal mount for use on DJI drones. The Zenmuse XT is the only integrated thermal gimbal camera of it's kind and boast an incredible feature set and performance standard. There are 4 apps compatible with the Zenmuse XT, each having a purpose built application. DJI’s most widely used app, for both iOS and Android devices, that includes everything from intelligent flight modes to editing and sharing features. Our Price: $9,495.00 Includes over $500 of FREE Accessories! This KAS A3 has a high end MIL SPEC INTENS 4G tube and is in like-new condition. The UNS A3 Clip-on Weapon Sight (WS) adds night capability to the existing rifle and day scope by attaching to the picatinny rail. The UNS A3 is universal and fits most fielded rifles and day sights. Using the latest high performance GEN 3 intensifier tube in a proven design, where the refractive lens provides high performance light collection in a light weight design. The Knight Vision patented technology assures the accuracy of your range-tested day scope boresight will not be degraded. When the UNS A3 is added in front, your existing optic, eye relief, and cheek weld are undisturbed. The UNS A3 is designed for close quarter battle weapons such as the M4, M16, M14, SR25 and similarly configured battle rifles. Knight Vision patented Single Interchangeable Battery (SIB)® allows use of either CR123 or AA single cells, with a battery life exceeding 24 hours while the shooter remains in shooting position. The highly efficient power circuit allows use of depleted flashlight batteries to provide several hours of operation. Single Interchangeable Battery (SIB) ® U.S. Patent No. 7,576,516. The REAP-IR optimizes the SWAP mind set with its small packaging combined with it's lightweight features. When you need a thermal weapon sight that fits perfectly on a tactical rifle look no further as the REAP-IR will deliver. The REAP-IR's stadiametric rangefinder uses a system of reticle lines with adjustable angular spacing to quickly and easily dial in on a target's distance. The REAP-IR's stadiametric rangefinding system allows you to select your target's height or width then adjust a set of reticle bars to contain your target's height or width. The REAP-IR will then give you a corresponding distance readout. Stadiametric rangefinding is widely used in long-range military sniping and is faster than laser range-finding techniques. Electronic laser rangefinders can also give away a shooters position, but a stadiametric rangefinding system is completely covert. Each X/Y location will give you a simple X and Y value for as many locations as you need. This means that you can set up a REAP-IR on as many weapon systems as you want and always maintain a return to zero. 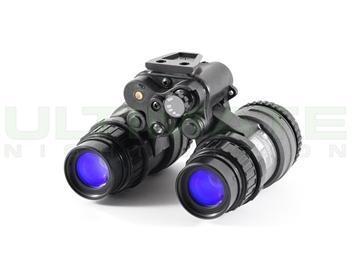 The PVS-14 is the all around best multi-functional night vision monocular available. 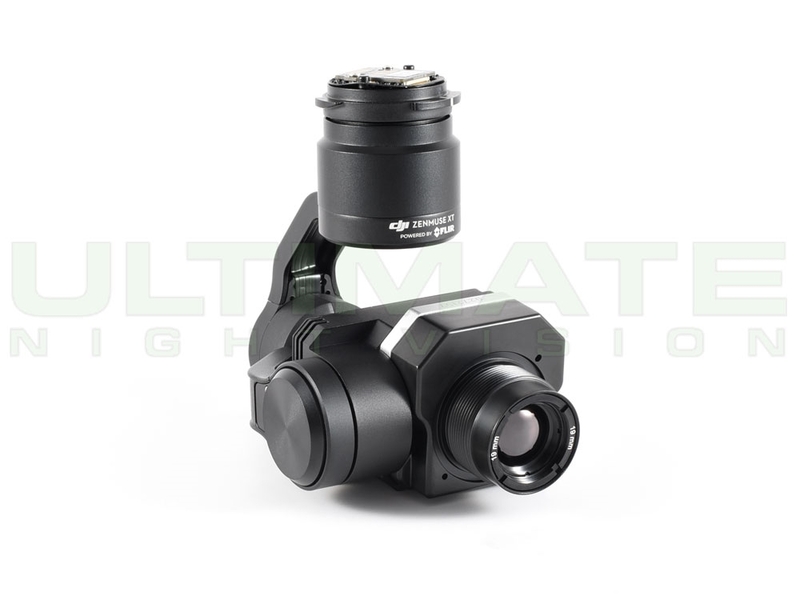 Head or helmet mounted, the PVS-14 allows the user to retain their night adapted vision in one eye while viewing their surroundings through the illuminated eyepiece of the PVS-14. The new battery housing completes the perfect package by allowing the user to power off the unit when in an upright position and power on when flipped down. Another strength is its ability to be weapon mounted behind most collimated daylight aimers and Reflex sights. 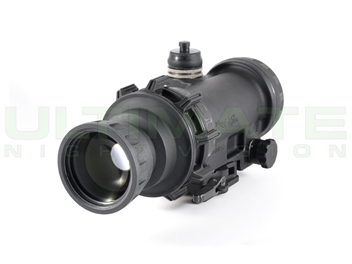 This allows the user the ability to use their PVS-14 both as a night vision monocular for increased mobility and tactical awareness and as a short range weaponsight. Gain control gives the user the ability to increase or decrease the tube gain. 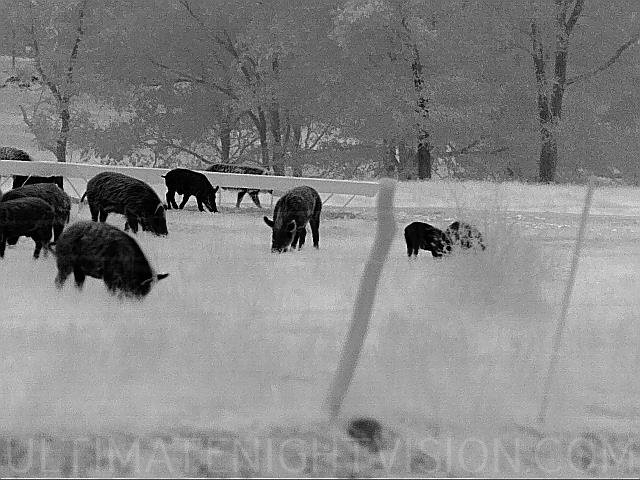 Under extremely dark conditions, gain control allows the user to adjust the gain upward, giving a better image. Under high light conditions, details can be washed out due to an excess of light. Lowering the system gain can allow those details to be better seen. 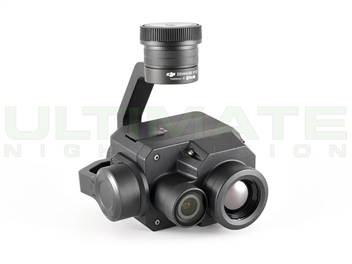 Additional features of the PVS-14 include an infrared LED with LED indicator and a low battery indicator. INTENS tubes may have a maximum of 2 small spots in zones 2 and 3.